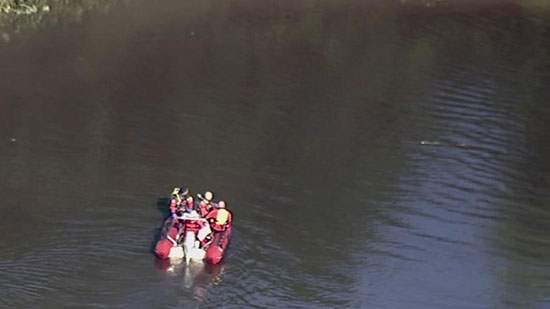 Search crews have recovered the body of a New Jersey teenager who got swept away in the current while swimming with friends in a Hamilton Township lake on Wednesday afternoon. 17-year-old Marty Barchue of Hamilton Township and three other friends were swimming at Rowan Lake at Roebling County Park when they were caught in a thunderstorm. The current grew stronger as they stood in the marsh at the edge of the lake and Marty got pulled away from the group. Crews searched on Wednesday night but could not find anything. Marty was a student at Hamilton West High School. Yesterday was the last day of school, but counselors will be available today for students. An inmate is back in custody after mistakenly being released on Tuesday due to a paperwork mixup. Russell Allen Bryant was released from the 18th District Headquarters in the 5500 block of Pine Street at 4:50 p.m. Tuesday. Bryant is charged with attempted sexual assault and has been an inmate at Curran Fromhold since last month. While in jail, he was connected to and charged with a theft at Drexel University in a separate case. Bryant was transported to the 18th District for a video arraignment on the theft charge. The theft offense alone is not great enough to be held in custody, so police officers at the 18th district released Bryant. Somehow, those officers missed the paperwork that showed he is being held on more serious charges in the sexual assault case. Capt. Sekou Kinebrew said, "Some how or another, in the 18th District CCTV location, those sets of paperwork got detached from one another." Luckily for police, Bryant went to the Drexel University Police headquarters to address the theft charge 17-hours later on Wednesday morning. Officers there took him back into custody. Two workers were sent to the hospital after a scaffold collapsed in Center City Philadelphia this morning. It happened at 9:22 a.m on the 400 block of Walnut Street. The scaffold was hanging about 25-30 feet above an adjacent roof when a supporting line snapped. A 23-year-old man and a 41-year-old man both suffered cuts. They were taken to Thomas Jefferson University Hospital. Walnut Street was closed as the Department of Licenses and Inspections checked for structural damage.